A generic drug is pharmaceutical drug, which is bio equivalent to branded drug. Generic drugs are usually approved after patent expiration of patent drugs. 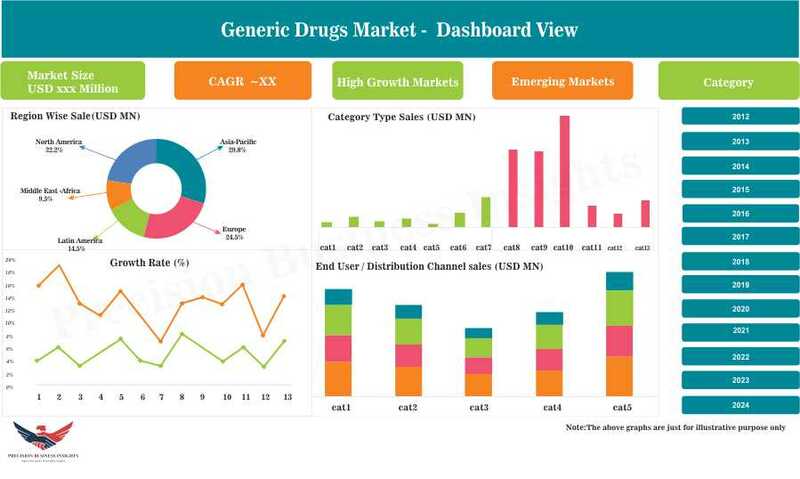 Some of the market players in generics market are Mylan N.V. (U.S.), Sun Pharmaceutical Industries Limited (India), Teva Pharmaceutical Industries, Ltd. (Israel), Dr Reddy’s Laboratories (India), Novartis AG (Sandoz International GmbH) (Switzerland), Apotex Holdings Inc. (Canada), Endo International plc (U.S.), Pfizer Inc. (U.S.), Johnson & Johnson Services Inc., (Janssen Pharmaceutica) (U.S.), Lupin Limited (India), Merck & Co, Inc. (U.S.), Mitsubishi Tanabe Pharma (Japan), Momenta Pharmaceuticals (U.S.), Nexus Pharmaceuticals (U.S.), and Novo Nordisk (Denmark) to name a few. 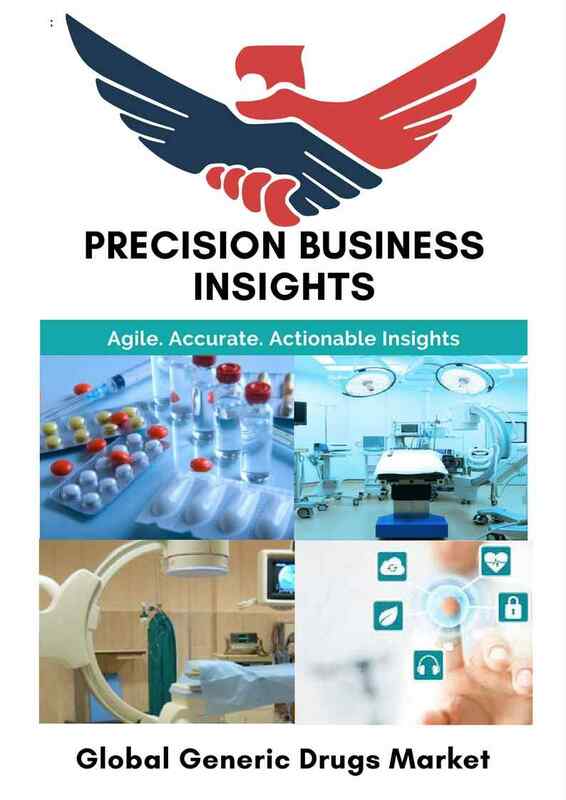 In August 2017, Nexus Pharmaceuticals got U.S. FDA approval for the first generic version of Hospira’s Isuprel, for the treatment of bradycardia, heart block. In January 2015, Ivax Pharmaceuticals, a subsidiary of Teva Pharmaceuticals has got FDA approval for first generic version of AstraZeneca’s Nexium to treat gastroesophageal reflux disease (GERD).